A blue collar girl. Machinist Morena. 💪🏽💋🛠 ig @mayaelenasosa . Has to be the best setting spray ever! It makes my make up look instantly better and gives me the perfect finish not too dewey, but definitely makes a difference. My make does last longer. And it has virtually no scent which I appreciate. I made the switch to paraben, sulfate, silicon free products a few months ago and decided to start with this. Some background about my hair is that it’s pretty long and thick. It pains me to say, but I have to wash it EV 👏🏽 ER 👏🏽 Y 👏🏽 DAY 👏🏽 because I work in a very industrial environment and there’s a lot of dirt and hazardous/toxic debris floating around. So surprisingly Love Beauty and Planet Shea Butter and Sandalwood Purposeful Hydration Shampoo 13.5 oz with the conditioner doesn’t cause a lot of build up! But I don’t feel like it helps with the hydration. I do feel better about not adding a bunch of chemicals and superficial fixes to my scalp and hair. The Drunk Elephant T.L.C. Sukari Babyfacial pros are that you only need to apply small amount to your face—more if you want to apply to other parts like your décolletage and that it’s relatively easy to use. After application it says to wait 20 minutes which give me time to do other things like my nails or put a leave-in conditioner in my hair, etc. One negative is that this stings like no other skin product I’ve ever used! But I think I have a pretty good pain tolerance so I’m able to keep it on the entire 20 minutes. It only stings for the first minute or two anyhow. As for results, if I’m having dull, flaky skin this definitely cures it. And my skin will feel soft and oddly enough hydrated, as if I could forego moisturizer, but I still apply Drunk Elephant Virgin Marula Luxury Facial Oil. The facial comes with a sample of the oil. Also, I notice that I have either more mild or NO breakouts throughout the week when I remember to use it. The directions recommend to use no more than twice a week. Would I purchase this again? Maybe... if I get a lot of overtime at work and have money to burn! It is sooo expensive! But I think a bottle would last me a very long time. So it’s officially summer and where we are it has reached 105 degrees Fahrenheit within the past couple of weeks! Well my boyfriend and I work in a huge machine shop with limited air conditioning... needless to say... He has definitely put this to the test! We give it 4 out of 5 stars because “It works, but it doesn’t completely protect the 48 hours it claims on the bottle.” It should be noted he puts on an antiperspirant/deodorant immediately after showering regardless which is everyday. But we think it lasts an impressively long time. It’s not an overpowering fragrance either; it smells really good. To me it’s a mix between all of the “rain” scents from early 2000s and a modern fresh cologne scent. He’s the kind of dude who really into scents wether it’s cologne, candles, airsprays, bath products, cleaning products, etc. 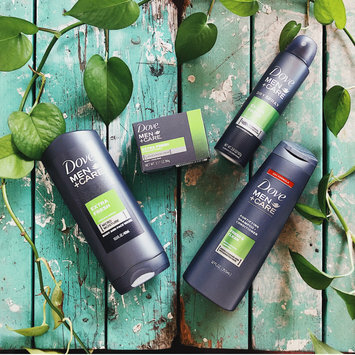 In the end he gives Dove Men+Care Extra Fresh Dry Spray Antiperspirant a 👍🏼 and he’ll definitely keep on using it! What the heck!! 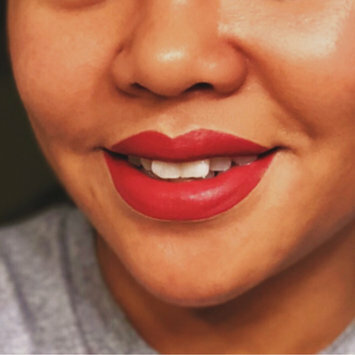 I’ve always convinced myself that any lip product that, is either 1) Sheer or 2) Shimmery, would never ever work for me...as if it didn’t fit a clean, simple, or natural look! This is sheer, but buildable and doesn’t wear off easily at all! 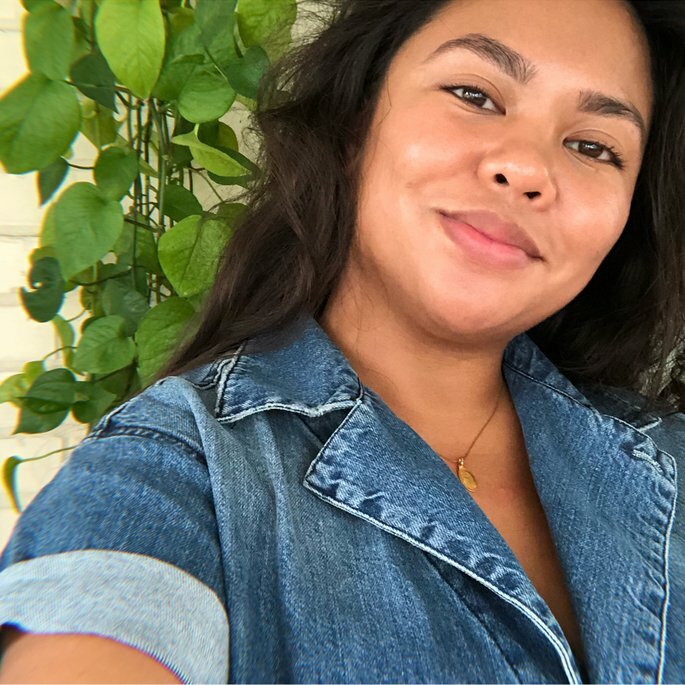 The color ICONIC is now my go-to lippie for a no-make make up look. It’s neither too light/dark nor too warm/cool for my complexion. This shimmer is so subtle, it just helps reflect the natural texture of lips! Also, the formula is so so moisturizing unlike all of my other lipsticks and glosses! Game changer! The twist-click mechanism to expose more product out of the tube is a nice feature as well because you don’t have to worry about it accidentally twisting. Also, I bought this (it was the last one!!) at about $6-7 from CVS because this color was sold out from my nearest Walgreens and Rite Aid. 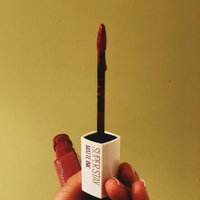 I bought the Maybelline SuperStay Matte Ink™ Liquid Lipstick in the color Ruler #80 from my nearby Walgreens for about $7. It’s a medium pink/mauve. 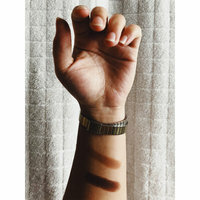 I love this formula for a night out or special event as it’s very opaque and creamy looking and I use concealer around the edges to give a more polished finish. I love these types of felt wand applicators because you can get in the corners near the cupids bow and use the flat part to cover broad areas evenly. It really lives up to its SUPERSTAY name! When I drink or eat my glass or utensils get product on them but you can’t even tell afterwards when you look in the mirror. Also, I tried to scrub the heck out of my lips to get these mostly off! Soap and water or wipes don’t do it! A dry towel did the most for me! Lol Maybe a lip scrub will do it but I’d be scared that I’d accidentally rub the pigment on the rest of my skin and that it might stain. Time-wise I did 6 hours at an event before reapplying even though I didn’t really need to and I was snacking and drinking stuff the whole time! All this being said I wouldn’t use it for an everyday look because it’s very strong looking and I can’t get the darn thing off when I want to! I use this as a contour and I love it!! It’s buildable and, with the Sephora buffing contour brush I use, it blends well! 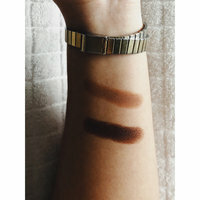 I had been using Anastasia Beverly Hills powder contour palette in Medium and I’ve stopped using it altogether because I didn’t care for powder and how it brought up unwanted texture and it had a yellowish tone to it. (Although I’m basically tan I have a more pink, red tone.) Other contour sticks at my nearby pharmacies only have a light or medium option and are also very yellow-y and have a pathetic amount of product in their packaging. Fenty, to me, is fairly affordable at $25 and have a lot of product per stick. I use Mocha for a subtle natural contour all over and for extra oomph I add a smidge of espresso for my cheek contour. I have finally used up my Lush Buffy Body Butter bar! It’s taken me a long time because I try to take quick efficient showers—always busy! So taking the time to use this when I’m on the go doesn’t always work out. Pros: Very moisturizing! It feels like putting a natural balm all over your body I could almost forego putting on lotion after a shower. And it smells good too! Cons: My intentions were to help fade my body acne scars. 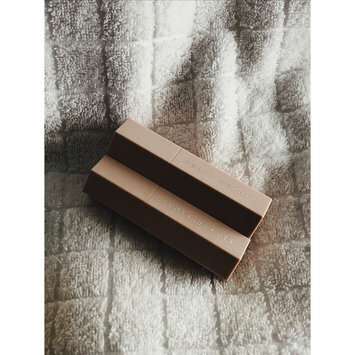 Come to find out the exfoliants in this bar are far too large and coarse to help. Really I think they were more irritating to my skin, unfortunately. Also, I’ve decided that LUSH is a place where I’d only buy products that have immediate results and for indulging myself because it was really pricey for what’s basically a bar soap. I got the small bar for about $13.